Wars Wampa Rug to help you stay warm this winter. Naturally we don't condone the slaughter of wild animals, no matter which planet they are from, so this wonderful rug is make from high-quality synthetic fur. The head is plush and pillowy, and those ferocious claws are just made of vinyl. There is also a non-slip backing so that you won't be taking any unexpected wampa rides. The size of this bad boy is also generous -- 62" long and 30" wide. 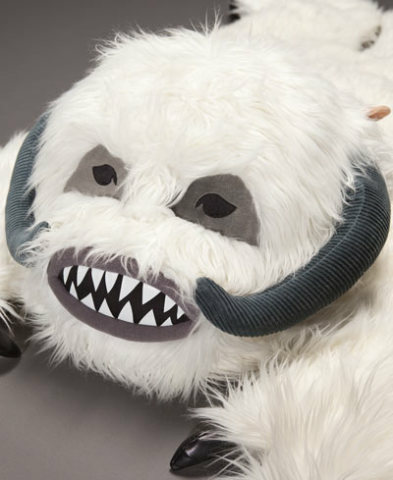 And, in case it is important to your collecting, this snow beast is an officially licensed bit of Lucasfilm merchandise. Important Note: Slave Leia not included. Sorry guys! Back in my rabid Star Wars days I would have saved for weeks to get this. 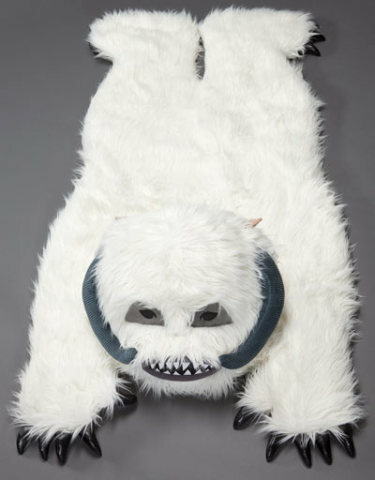 Wars Wampa Rug or to get one to bestow on your own favorite rebel warrior, click here.